Colton Dakota Spendlove passed away unexpectedly on March 27th, 2019 after fighting a courageous battle with depression. Colton was a beloved Son, Brother, Grandson, Cousin and Friend. Colton will be greatly missed by all. Colton was born on July 31, 1994 in Oak Harbor WA. to Robert and Aimee (Jensen) Spendlove. Colton Graduated from Tooele High School and served in the United States Navy. Colton is survived by his parents Tim and Aimee (Jensen) Voyles, Robert and Danna Spendlove. Colton left behind, his Grandpa J Spendlove, His Grandma Sharon Jensen (Jim) And Grandma Rebecca Hale, and 6 siblings Skyler Spendlove, Alyssa and Preston Ginter, Hope and Kenny Voyles, and Janna Emfield. 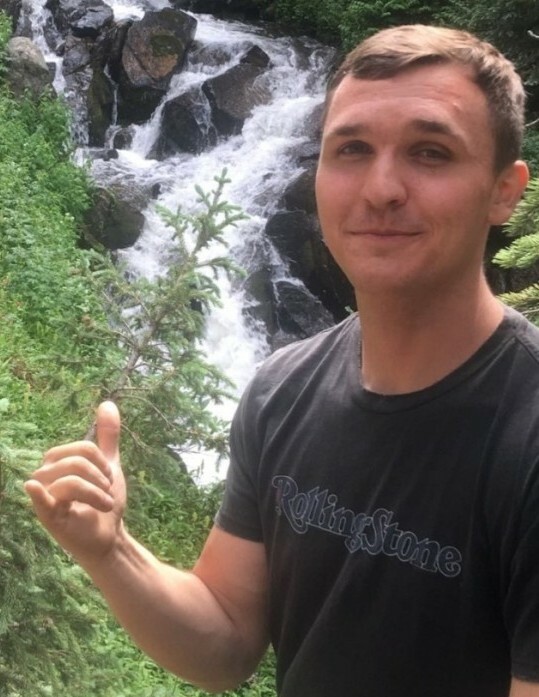 Colton loved skate boarding (he could do incredible tricks), barbecuing and smoking meats, watching NFL football, and he loved the great outdoors, he would hike for hours. Colton enjoyed spending time with his siblings, playing games and cracking jokes that would make everyone laugh. He had a handsome smile and a great sense of humor and would defend his siblings to the end. He will be greatly missed, and we hope heaven sets his mind free. Colton is preceded in death by his Grandpa Keith Jensen and his Uncle Colter Jensen. Wednesday April 3rd, 2019 a visitation will be held at Tate Mortuary, 110 S. Main Street, Tooele, Utah. From 10:30 until 11:45 am with funeral services at 12:00 pm and graveside services at approximately 1:15 pm. A luncheon will be served at 2:00 pm following the funeral service at the Church on 180 S. Coleman Street.